If you are looking for high quality Men’s PJs at low wholesale prices for your retail store, then Wholesale Sock Deals is the place where you will get the biggest bulk discounts on pajamas for men! 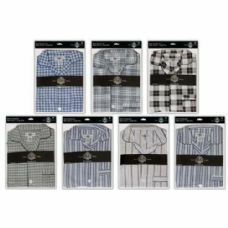 We have a great range of men’s pajamas for you and they are all available at the lowest wholesale prices. 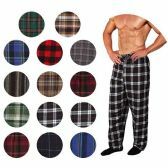 We have some amazing wholesale deals on men’s inexpensive plaid pajama pants, some massive bulk discounts on wholesale flannel pants, and the best-ever low wholesale prices on sweatpants, pajama sets and men’s nightwear. Our big bulk discounts are not just for retail stores. If you need warm winter men’s pajamas for a donation to a charity, a church or a relief appeal, then you too can save big money on bulk cases of warm men’s nightwear at Wholesale Sock Deals. 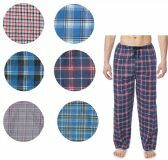 From men's cotton pajama bottoms to men’s plaid pajamas, all our men’s nightwear range is available to purchase at the amazingly low wholesale prices that we have become so famous for. That’s why Wholesale Sock Deals is the number one wholesale supplier of men’s pajamas and men’s inexpensive apparel to both the retail trade and to the charity sector. Men’s pajamas are always a popular item. Everyone needs a good pair of pajamas to wear to bed, especially in the cold winter months. 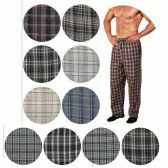 So, order your high quality, low-cost wholesale pajamas for men now and stock up your store with the best range of bulk discounted men’s PJs on the market! 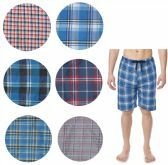 These are the best wholesale deals on men’s pajamas, pajama shorts and pajama bottoms that you will find anywhere, because Wholesale Sock Deals always offer the biggest bulk discounts on everyday fashion apparel and clothing essentials, right across the board. We have all styles of men’s nightwear and pajamas for you here. 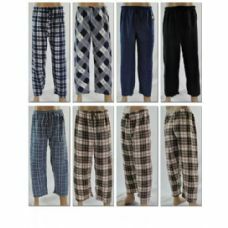 We have wholesale deals on plaid pajama pants, men’s sweatpants and men’s nightshirts, we have big bulk discounts on wholesale pajama sets and flannel pants, and we have the lowest wholesale prices on men’s inexpensive warm pajamas. 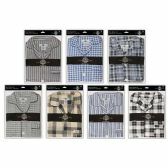 Low-cost wholesale men’s pajamas are great for men’s clothing stores, discount stores, and family fashion stores. They are also a good warm clothing item to buy for a charity or a church or to donate to a relief organization. Practical and stylish, this range of inexpensive wholesale men’s pajamas is bound to be a hit with the guys, so don’t be the only clothing store that doesn’t have a good range of men’s PJs in stock. Pajamas are one of those clothing essentials that there will always be demand for, all year round, so take your pick from our superb range of bulk discounted men’s pajamas and stock up your store now. Whether you order one case or twenty, you won’t pay for delivery when you order wholesale cases of men’s pajamas from Wholesale Sock Deals, so place your order now and get the biggest discounts on wholesale men’s pajamas and nightwear on the market from the number one wholesale supplier of inexpensive apparel to retail stores and charities.